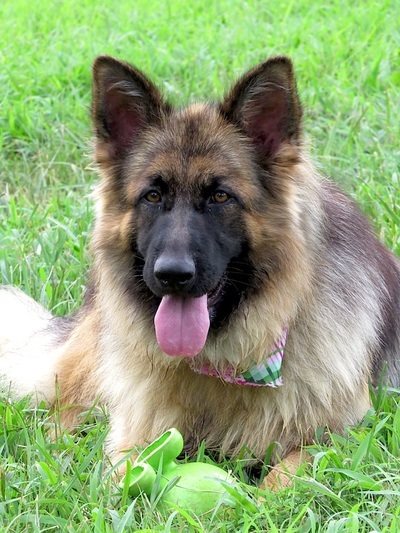 Click to see our ​Male Long Coat German Shepherds! Hip x-ray: Preliminary at 19 months "Good"
Remi is a beautiful long coat shepherd out of West German show lines. Take a look at her parents. They are also very beautiful. Remi is Degenerative Myelopathy Clear. OFA preliminary hip x-ray is Good. Click here for a copy of Remi's pedigree at pedigree data base. Calinda Vom Lieb aka Callie is a female black and red long coat. 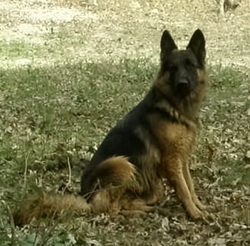 To take a look at her pedigree you can go to: http://www.pedigreedatabase.com/german_shepherd_dog/dog.html?id=1855668 . Callie is Degenerative Myelopathy Clear. Callie is great with children. Check out Calinda vom Lieb's present litter. Check out Calinda vom Liebs past litters. Zeba, worn out after a hard day of playing. 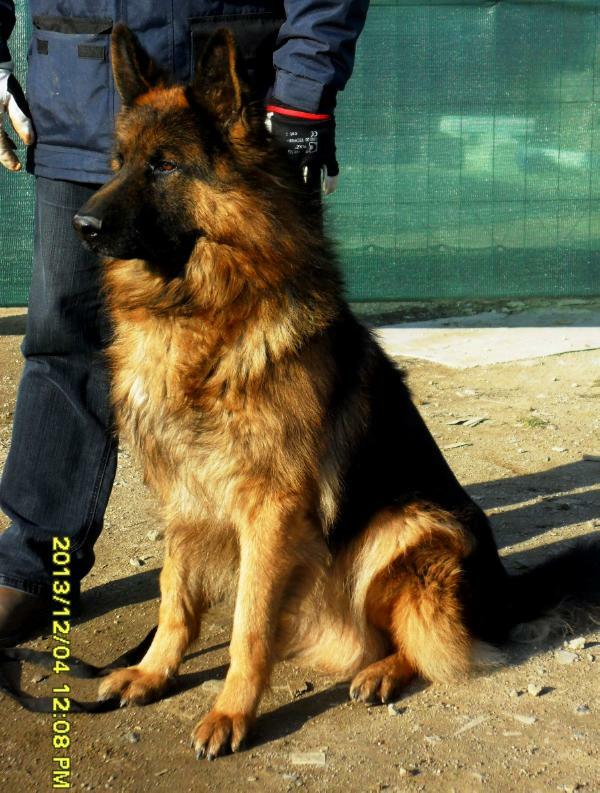 Zeba is an offspring from Goller's Zeus and Vom Lieb's Ingwer. She has matured to a beautiful long curly coat. She is very loyal and never leaves your side. Check out Vom Zeba Rosa Lieb's present litter. Check out Vom Zeba Rosa Lieb's past litters. Nevaeh (pronounced knee - va) is out of Vom Lieb's Ingwer and Zeus. She is big girl weighing 88 pounds at 3 years old. The vetrinarian said she is not over weigth. Born November 2010. She is a full sister to Vom Zeba Rosa Lieb (above). Nevaeh and Zeba have great service dog instincts. Nevaeh makes a great protection/watch dog. Nevaeh and Zeba have great service dog instincts. Vom Greta Lieb, born may 28, 2006 has been a great mom to all her pups. Greta and Zeus have produced some awesome puppies. She is with a litter right now. You can view her litter on the "available puppy page" and see some of her past puppies in the photo gallery and "proud new owner page". Check out Greta's present litter. 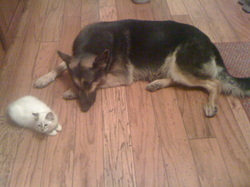 Check out Greta's past litters. Vom Lieb's Ingwer, out of Sire Ricco Schatz and Dam Carmelia was born March 19, 2008. Ingwer (Ginger) is a fantastic gal and comes from working lines.